Once again, Richard Nader Entertainment, Inc. is presenting a dynamic show of oldies icons on Saturday, June 1, 2013, 7 p.m. at the IZOD Center in East Rutherford, New Jersey. 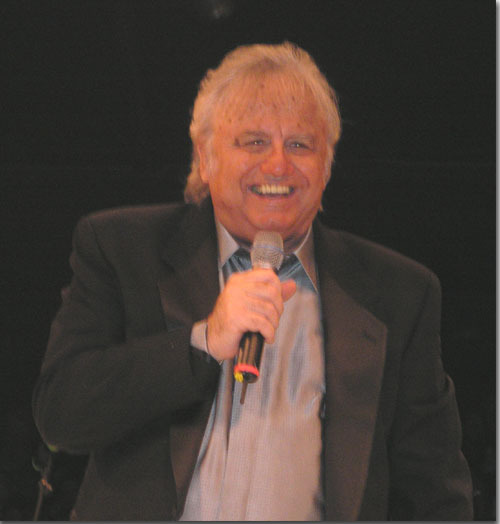 This will be a special celebration for Jay Black, as it’s the 50th anniversary of their hit “Only in America.” The iconic song was heard throughout New York during America’s bicentennial celebration in 1976. Other amazing songs by Jay and the Americans include: “Cara Mia,” “This Magic Moment,” and “Come a Little Bit Closer.” Jay Black’s voice is as powerful today as it was back in the day. Joining the star-filled extravaganza are Jay Siegel and The Tokens, best known for their 1963 hit, “The Lion Sleeps Tonite”; Brooklyn doo wop group, Lenny Cocco and the Chimes doing their hit “Once in Awhile”; John Kuse and the Excellents, known for “Coney Island Baby”; The Duprees performing their goose-bump inducing hit, “You Belong to Me”; Gene Shandler doing “Duke of Earl”; Maurice Williams and the Zodiacs performing their chart buster hit, “Stay”; Tommy Mara and The Crests, doing “Sixteen Candles”; and Twin Gold. Come see the artists who have made famous the songs that were known as “music to make love to.” Re-live the golden memories of songs that have forever staying power — for young and old fans alike! For those who like to get the party started early, as the fun begins when the gates open at 3 p.m. for the classic car display, a tailgate party, and autograph session with the stars! Tickets are available at Ticketmaster.com or any Ticketmaster outlet. For information go to richardnader.com or email info@richardnader.com.